Michigan is one of the most gerrymandered states in the country. 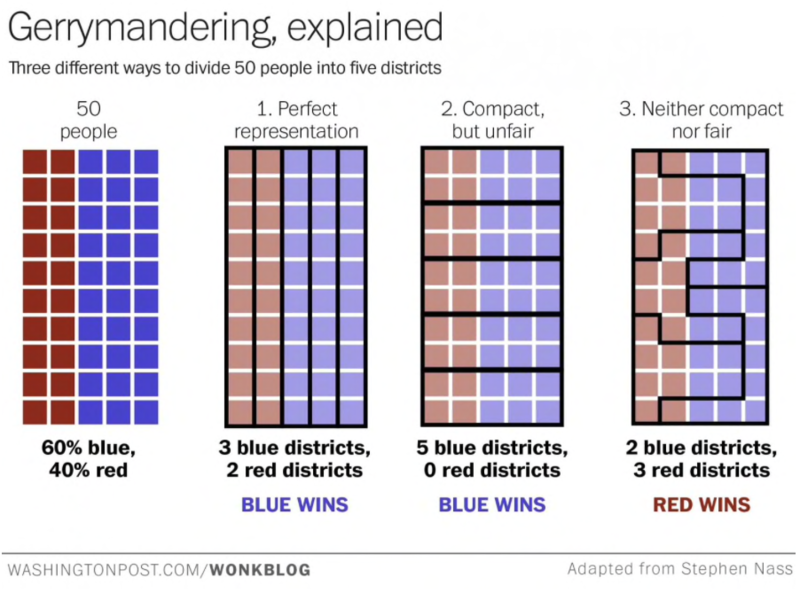 Because Republicans control the redistricting process, Michigan redrew its maps in 2011, bunching a majority of Democratic voters into a handful of districts just three years after Barack Obama carried the state by 16 points. In 2016, Republicans won control of 64% of U.S. House seats despite receiving just 48% of the total vote. Proposal 2 ("Voters Not Politicians") is grassroots ballot measure that takes the redistricting process away from politicians (in both parties) and replaces it with a 13-member independent commission to set the next boundaries for congressional and legislative districts. The Right has fought this proposal every step of the way! In early August, The State Supreme Court narrowly approved language for Proposal 2, despite strong opposition from Republican-aligned groups like the Michigan Chamber of Commerce and the DeVos family (yes, that DeVos family). Republicans lose if Democracy is fair, so they're going to do everything they can to defeat this idea. Proposal 2 needs resources to fight off what will be a heavily-funded "NO" campaign. The 2020 Presidential election and control of the U.S. House through 2030 may depend on Proposal 2. Next Report is in October - Michigan spending is not transparent. Michigan state government is disproportionately represented by Republicans because of gerrymandering in the 2011 redistricting process. Donald Trump won Michigan by just three-tenths of one percent in 2016 -- marking the first time since 1988 that a Republican candidate captured the state -- yet Republicans hold 9 of Michigan's 14 Congressional seats.